Get your deck ready for fall and get the most use out of it this season! Fall is officially here, but the cool weather and chill in the air does not necessarily mean that you need to start spending all of your time indoors. You can utilize your outdoor space, even in the fall when the temperature begins to cool off. There is no reason why you cannot use your deck into the winter. Follow just these few tips in order to get the most out of this fantastic season. The first thing to consider when thinking about your deck for fall is how you want to use your outdoor space. Are you interested in enjoying a hot cup of coffee on frosty mornings? Perhaps consider investing in a heater or a couple of comfy outdoor chairs and blankets. If you do not plan to use your deck in the fall, shut down your space early for the winter. Once you decide how you want to use your outdoor space, you need to start thinking about how to prepare your deck. If you have a composite deck, the blend of recycled wood and plastic means that you need to do very little maintenance on it. Whether you have a wood deck or not, make sure you inspect the hardware and be sure to replace bolts and other parts that are damaged. Be sure to look out for sections of the deck where the stain or paint is not holding up If you have a deck that has been stained or painted, you should probably coat it with a water-repellent sealer. Better yet, be sure to invest in a sealer that does not need to be reapplied annually. Before it starts to get colder, clear your deck of leaves and other debris that may be left over from the summer. By keeping your deck clean, you ensure that it looks nice throughout the season but also that it is easy to make ready for the next summer. If the winter months where you live are especially brutal, be sure to check any pipes around your deck. Ensure that they are empty and clear, as you will not want them to freeze and create issues for your home as it grows colder. Never use a power washer to clean your wooden deck because it will ruin its finish. Clean the wood just enough to remove any gray surface wood, rust, dirt, algae, or fungus from the surface. If you still have more questions pertaining to how to prepare your deck for fall, Eastern Shore Porch and Patio is here to help. 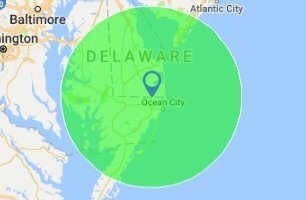 We service Bethany Beach, Ocean City, Lewes, and the rest of the Delmarva area. You can even request a quote today! Call us at 302-436-9520 or send us an email at info@esvinylproducts.com. For updates, ideas, and to see what we have been up to, follow us on Facebook, Twitter, Google+, LinkedIn, and Youtube. This entry was posted on Friday, September 28th, 2018 at 4:22 pm. Both comments and pings are currently closed.